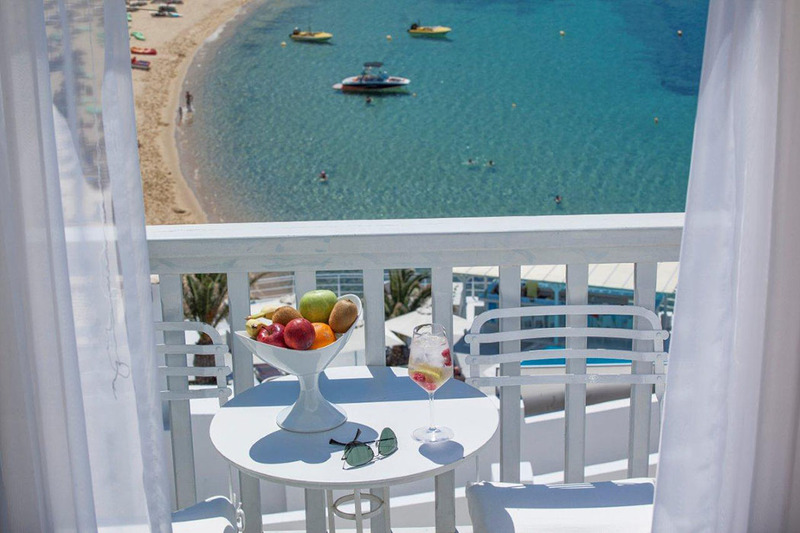 The Ios Palace hotel is a member of Trésor Hotels and is considered to be one of the best boutique hotels on the Greek Island of Ios. 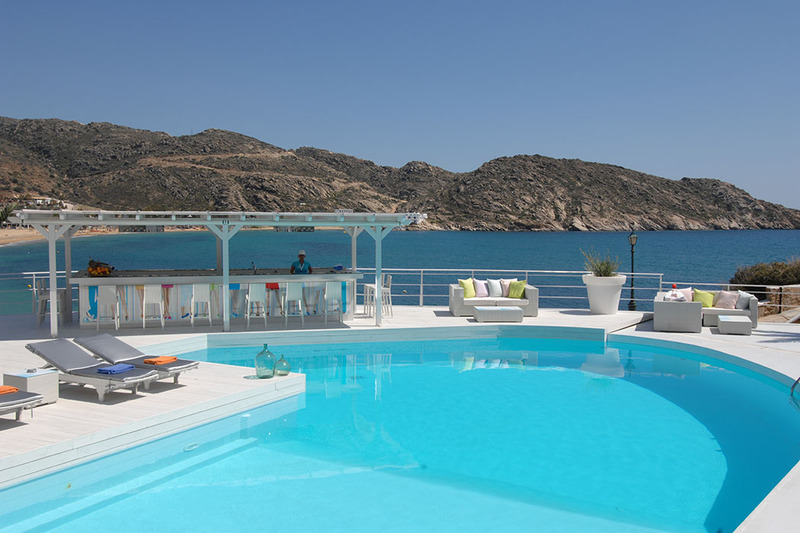 The Ios Palace Hotel & Spa boutique hotel is set in a bright whitewashed building overlooking of one of the best beaches in the Mediterranean, Mylopotas Bay on the peaceful island of Ios. 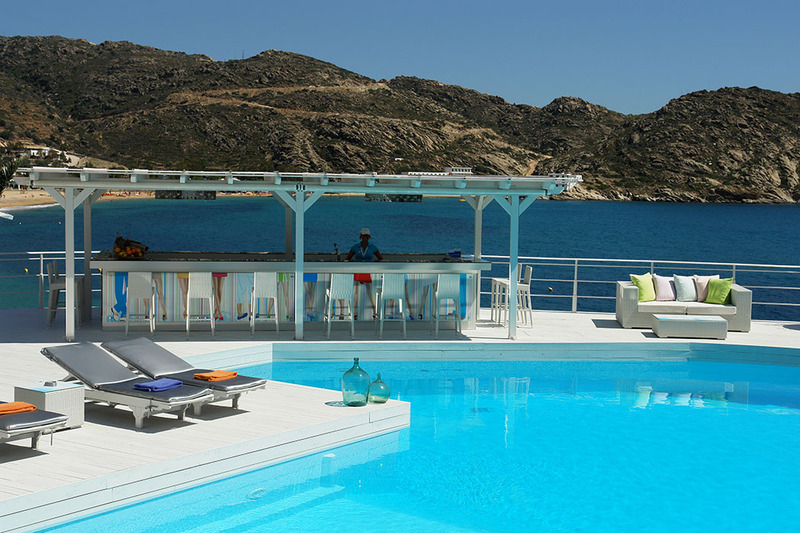 With views of the blue Aegean sea in every direction, you can spend all day gazing and lazing by one of two pools, one of which has a convenient poolside bar for cocktails and also offers tasty poolside barbeques most days with excellent food. If the warm mediterranean calls, you can easily pop down the hill for a dip from the golden sandy beach. The hotel’s whitewashed walls form the perfect backdrop to the views across the bay, and the views from the 59 rooms are just breathtaking. Reached via a maze of corridors and elevators, the rooms have minimalist decor but this is more than compensated for, with generous balconies and the amazing views. Yes these views truly are worth mentioning twice! The Superior Suites and the Master Suite are the most impressive rooms as they come with their own individual private swimming pool. The Ios Palace spa is located at the highest point of the hotel and again has great views. The local Cycladic town is within walking distance and the town of Chora is accessible by a convenient bus which runs until 11pm at night and departs and drops off practically at the hotel’s front door. There are plenty of restaurants along the beachfront of Mylopotas Bay just a short stroll away. If choose to eat at the hotel, there is a wonderful menu focusing on Greek and Mediterranean gastronomy, and you can enjoy your meals overlooking the bay. The highlights of this hotel have to be the views from the rooms and the pools. The staff at the Ios Palace are also both delightful and sincere and really do try to make your stay perfect in this boutique hotel. My tip is to request a room on the upper floors as these have the best views but do bear in mind that these rooms do require more than one lift and steps to reach them! 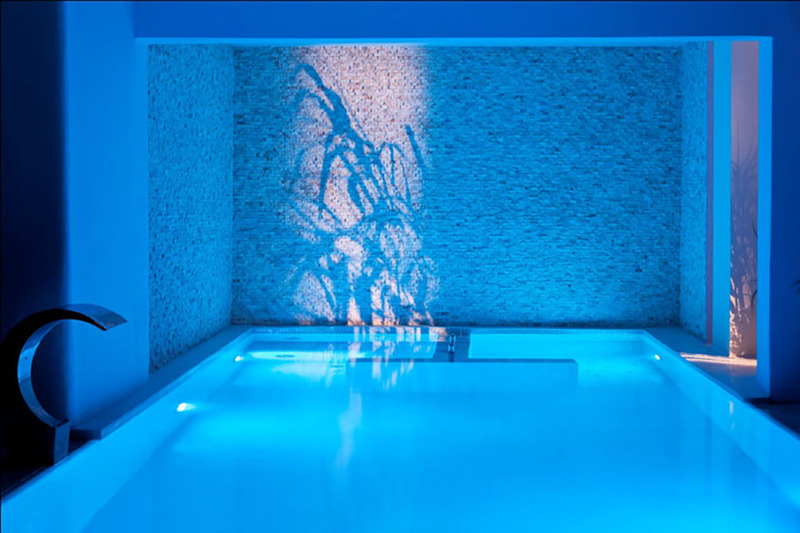 Alternatively, splash out and go for a Suite with a pool. There is no better way to wake up in the morning than going for a dip in your own private pool!